We know that a fully-fledged Swatch smartwatch is coming - the company's CEO confirmed as much earlier this month - but the Swiss fun watch specialist's first connected wearable might come as a bit of a shock to some...as it's a beach volleyball focused device. Yep, the Swatch Touch Zero One, which has just been officially announced, is a fitness tracker that wants you to hit the sand. 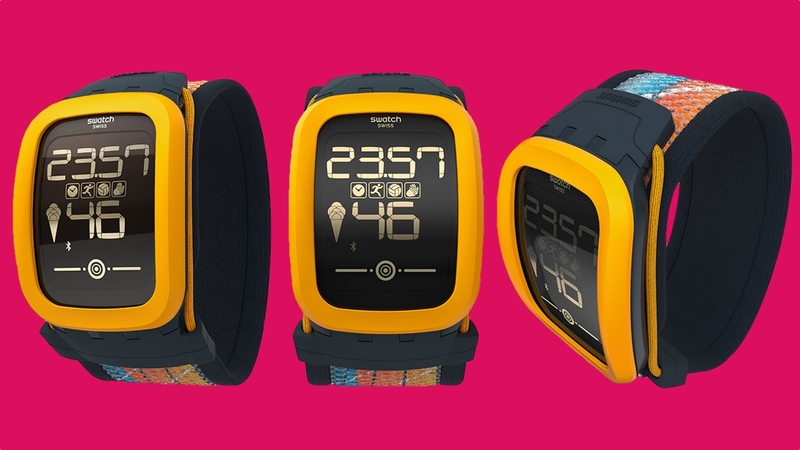 Using the same gaudy design as the original, non-connected Swatch Touch - the Zero One will count steps, distance and calories during beach volleyball matches as well as tracking "power hits" and "power claps". The former is centred on your slams, measuring the power with a score of 1-100 and the latter counts how may claps you did during a match. No, we're not sure why either. The Touch Zero One teams up with a smartphone app using Bluetooth, where you'll be able to make use of the virtual coaches on offer. The Swatch Touch Zero One is waterproof and the battery life is measured in months rather than days. It's coming out later this year priced at $160.